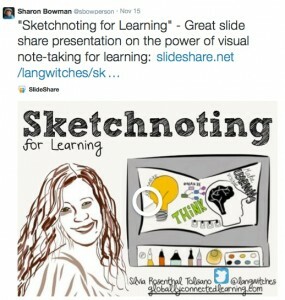 Curriculum21 — Professional Development: Got a Twitter Minute? 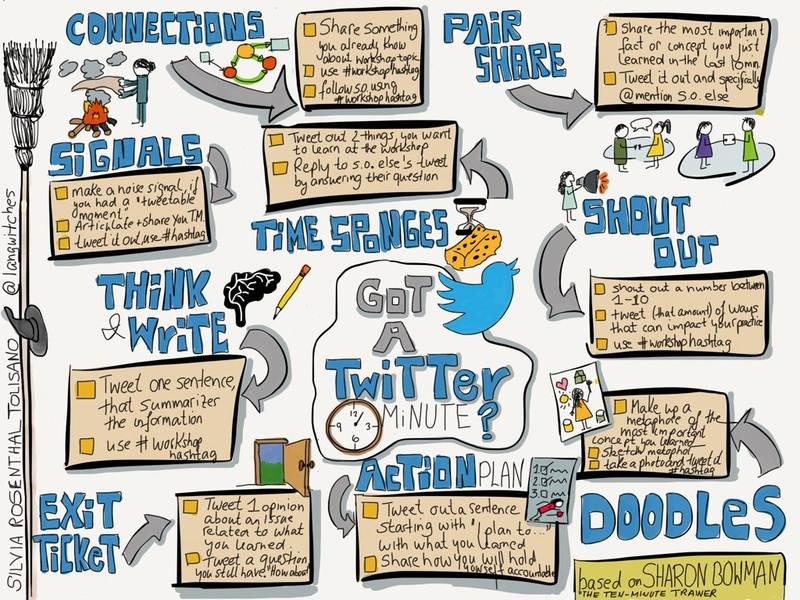 Professional Development: Got a Twitter Minute? 3. I followed the link to Sharon’s website, and purchased one of her books titled: The Ten Minute Trainer: 150 Ways to Teach it Quick & Make it Stick. Sharon used analog material, such as paper, pencil, index cards, sticky notes and face to face dialogue and conversation in her workshops. There is NOTHING wrong with that and EVERYTHING right with her approach to take lecture type presentations and divide them into small easier digestible chunks, then give the attendees time to review, reflect, discuss and share what they learned. 5. 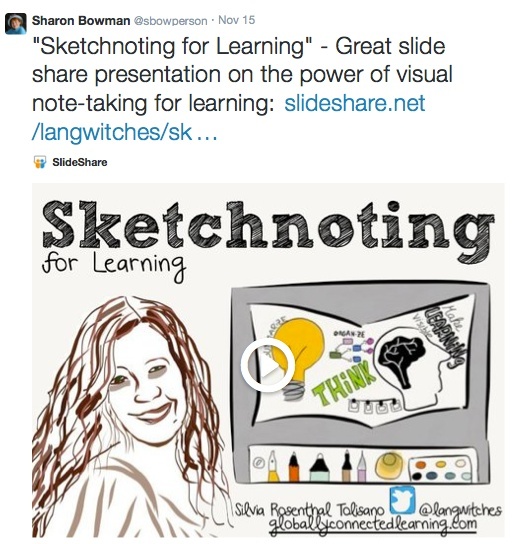 Many of Sharon’s activities seemed to be a natural fit for amplifying them into Twitter activities, embedding the SAME learning objectives she has for her analog activities. 7. I look forward to sharing the following 1-minute activities at my next workshop as an option for attendees in addition to some of the analog ones.